Dear adults: Come be kids again! 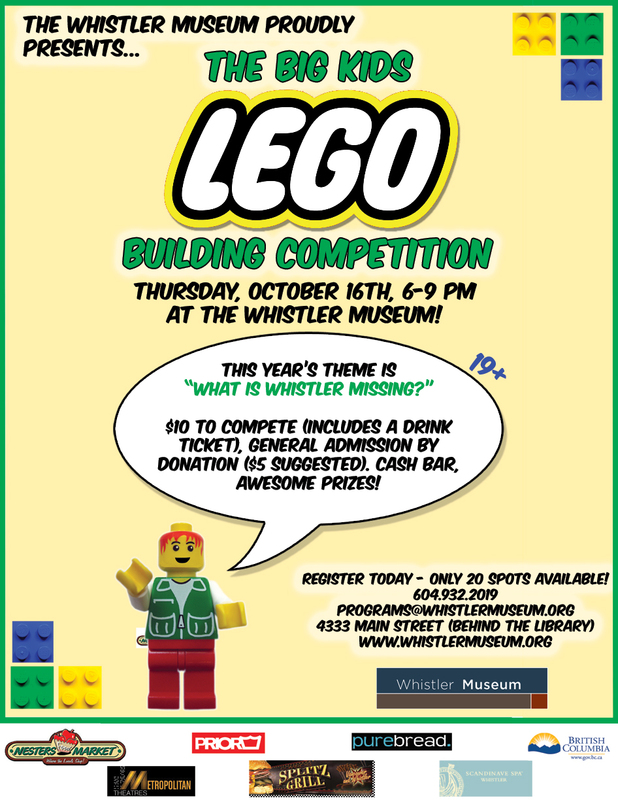 The Whistler Museum is excited to announce our third ever adult LEGO building competition, happening Thursday, October 16th. Come by the Museum from 6-9pm to stretch your imagination and test your building skills in the coolest 19+ event to happen in Whistler, ever! I’m pretty sure that’s an accurate claim, anyhow. Competitors begin building at 6pm, and the museum is open to the public at 7pm. This year’s theme is “What is Whistler missing?” Personally, I think Whistler could use some candy mountains and a hot tub time machine, but you will build what you will. Whistler could be missing something touristy or perhaps something personal to you, like a special someone to love… Anything goes. There are great prizes to be won from Scandinave Spa, Purebread, Splitz Grill, Nesters Market, Prior, and more! 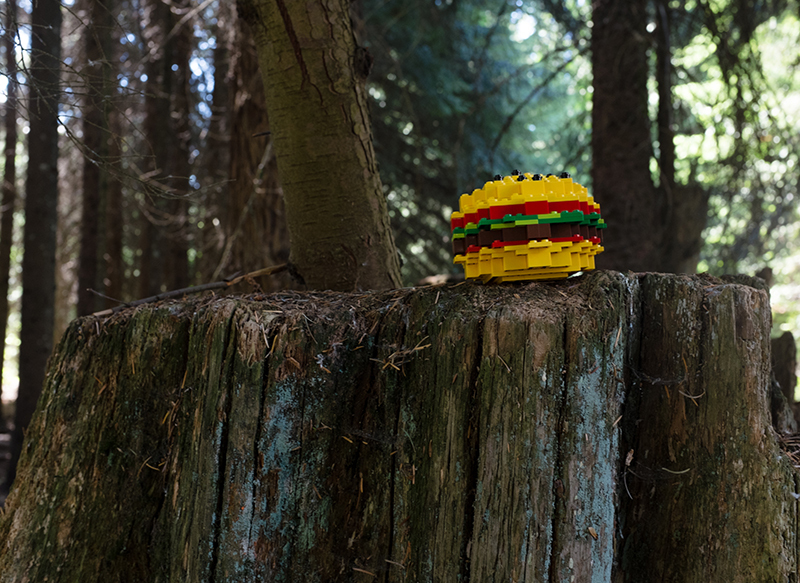 LEGO Hamburger, 2014. Whistler Museum. While you’re at the Museum make sure to take a guess at the contents of our LEGO jar. The guess that comes closest to the total number of LEGO pieces wins a year-long family membership to the Whistler Museum. To register, you can drop by the museum or give us a call at 604-932-2019. There are only 20 spots for competitors (friends are encouraged to come watch, have some drinks and wander the museum) so be sure to register ASAP. Teams are fine, but there will still be only one prize awarded for first, second and third place. You are welcome to bring up to three of your own LEGO pieces. Happy building! This entry was posted in News & Events, Recreation. Bookmark the permalink.